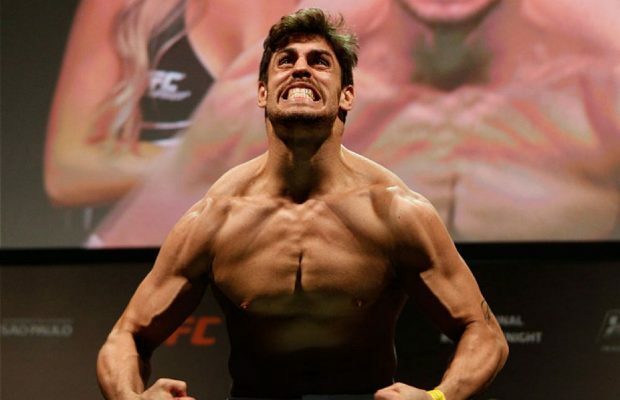 A rescheduled middleweight bout between Antonio Carlos Junior and Elias Theodorou is no longer happening at UFC 231 as previously scheduled. On Friday, Carlos Junior released a message via Twitter confirming that the injury that knocked him out of their fight in September was severe enough to require surgery, which will now keep him from competing in December as well. “Hey Elias Theodorou, really sorry man! The injury I had is a little more serious then I thought. I’ll need a surgery, so won’t be able to fight Dec 8 th,” Carlos Junior wrote on Twitter. Hey @EliasTheodorou Really sorry man! The injury I had is a little more serious then I thought. I’ll need a surgery, so won’t be able to fight Dec 8th. The fight between the two top 15 ranked middleweights has now been scrapped as Theodorou awaits word on a potential replacement as he looks to compete in his native Canada with the card taking place in Toronto. Fellow middleweight Eryk Anders, who had previously called out Theodorou following his last win was quick to volunteer to take the fight but as of yet there’s been no confirmation if his offer will be accepted.